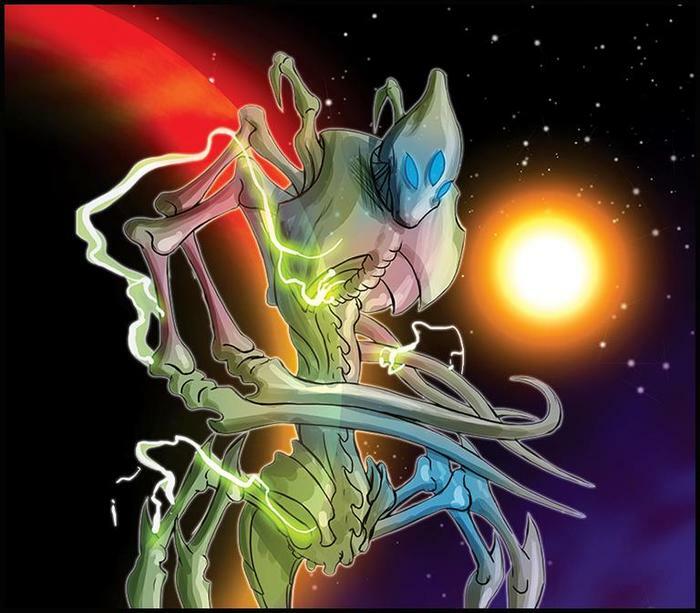 War Spectre society is centered on a vast region of space known as the Oothagos Expanse, but War Spectres can be found throughout the galaxy, pursuing trade contracts and mysterious axiomatic protocols with equal fervor. Few members of other races have traveled far in the Expanse, but those who have made the journey report a vast area filled with planets and lead by a small group of high-ranking War Spectres known as The Cynosure. Scholars of War Spectre culture also note a lack of any gender or family structure, and it is speculated that new individuals arise spontaneously from the coalesced remains of other Spectres. Pods of colossal Baldromera have roamed interstellar space for eons, sustaining themselves on high-energy photons and transdimensional energies. Their resilient litho-metallic hides protect them from both dangerous radiation and collisions other objects. Many centuries ago, a group of powerful and enlightened War Spectres known as the Conclave of Niphon encountered a particularly adventurous Baldromera and concluded a mutually beneficial agreement. They are now willingly locked in a symbiotic relationship, with the War Specters carefully managing and improving all aspects of the Baldromera's physiology. 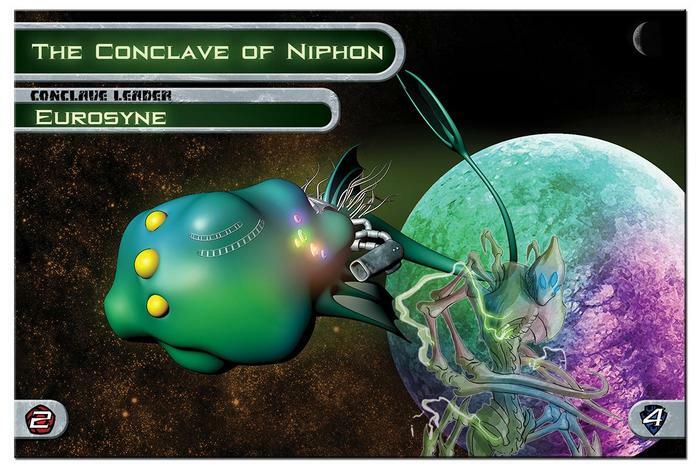 The War-Spectre Euphrosyne is the leader of the Conclave of Niphon, and is known for being rather gregarious and welcoming, especially for a War Spectre. The Conclave of Niphon moves from sector to sector, spreading their concept of order but forcing it on no one. As opposed to stalwart defenders of justice, the Conclave are missionaries of good will, but are no stranger to a fight. No one really knows how many War-Specters are in the Conclave, not even the Conclave members themselves. The "possesed" Baldromera does not specifically have a pilot, but willingly travels wherever the Conclave encourages it go. The Conclave has also convinced the Baldromera to grow ports to which engines and weaponry can be affixed, and have slowed its metabolism to require very little sustenance. Although the massive Baldromera lacks the maneuverability and weaponry of a dedicated warship, it can both heal itself and manipulate the technology of its allies to great mutual benefit.